HeadingThe brand more dentists use themselves. PurposeToothpasteManufacturerP & G-HealthActive IngredientsSodium Fluoride 0. 243%DirectionsTwist off cap to remove foil seal. 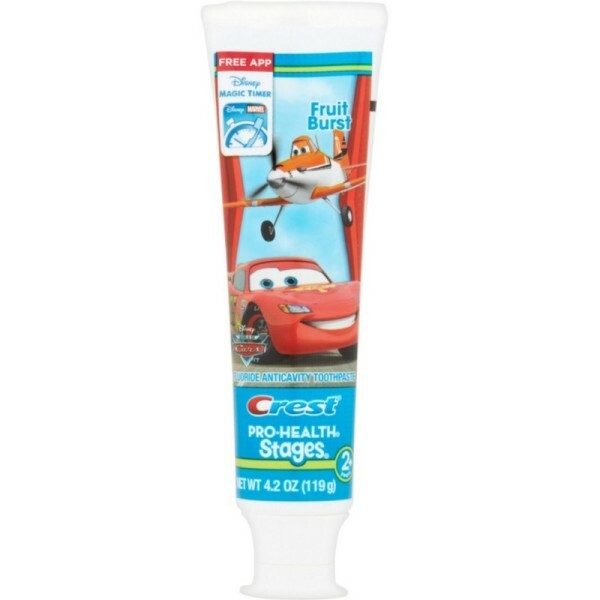 Crest Stages Pro-Health Kids Toothpaste Disney Pixar Cars and Planes with MagicTimer App Fruit Burst - 4.2 oz.